Congratulations to Quentin, Sue and Zoe Harding all of whom won their classes in the 2013 UK Orienteering League, which is now complete. In addition SROC finished a highly creditable 6th Club. The best 15 individual club members’ scores count, subject to certain conditions about classes. The first event in the new season is SROC's event in Low Park Wood not far from Kendal next Saturday 30th November. A must for all fans of orienteering in the dark, but also a good place to try night O to see if it's for you. There are full details of the event here. Anyone who uses RouteGadget, the route analysis tool, will know that there are currently problems with the Java software that drives RG mk1. It seems that this will become more of problem in the near future and will render the whole RG system useless. Fortunately Simon Errington is working on RG mk2, avoiding all the problems. It is still very much under development but SROC has installed the latest version on our RG site and it is available for viewing all our past events and testing usability. New functions are being added every few days, so check back regularly if you are interested. There is not as yet the ability to draw new routes but this will be included soon. So for now any new routes should be added using the old version. Some SROC members have joined the 'Movember' campaign. The campaign raises issues surrounding men's health. If you wish to donate and support Team SROC follow the link and 'Donate to my Team'. Updates on the teams facial hair can be found on SROC Facebook page. Beth Davey (SROC Junior) thought our Chairman looked like Shakespeare!! . 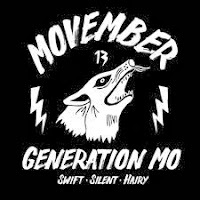 http://uk.movember.com/mospace/7072237 . The League Tables are now on the web for your perusal. See Gross scores or Age-adjusted scores. There was some lost property from the Wigan event. The items are a Petzl Headtorch currently with Mark Sammon, a blue cap and a black drinks bottle, these are currently with Bill and Dawn Lock. Results for the White Coppice events held yesterday are on-line here, and RouteGadget is here. The weather forecast was ‘Changeable’ for Saturday 9th Nov. and this proved to be accurate – sun (while I put out the controls), rain and heavy hail squalls during the event and thunder and lightning when we brought in the controls! A new area for street league with an excellent map. The light rain just serving to keep the runners cool! RouteGadget is now ready for your routes.